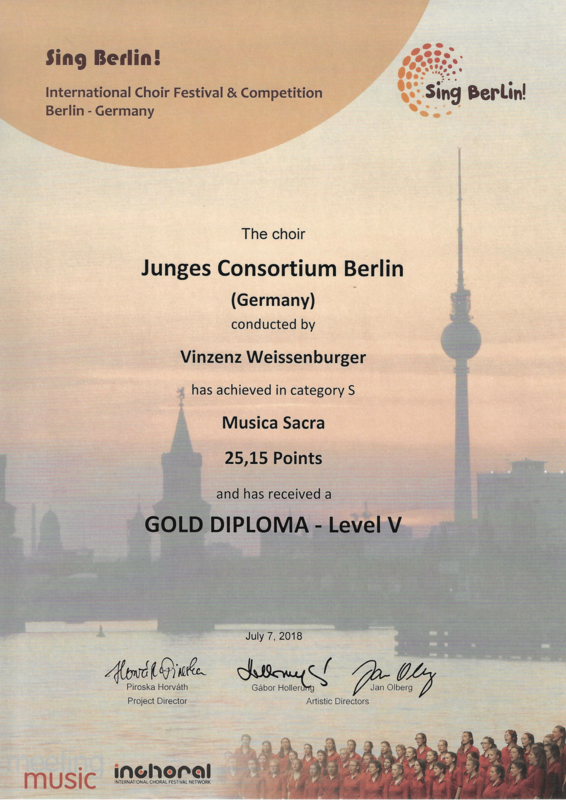 In September 2018 the Junges Consortium Berlin took part in the Istramusica International Choir Festival & Competition in Porec, Croatia with great success. 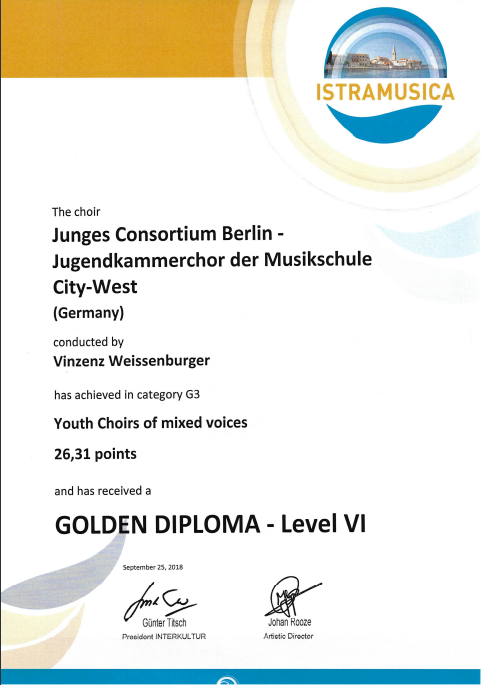 In the categories Sacred Choral Music a cappella and Youth Choirs of mixed voices the choir was awarded two gold diplomas, in the latter category the choir also won the category victory. 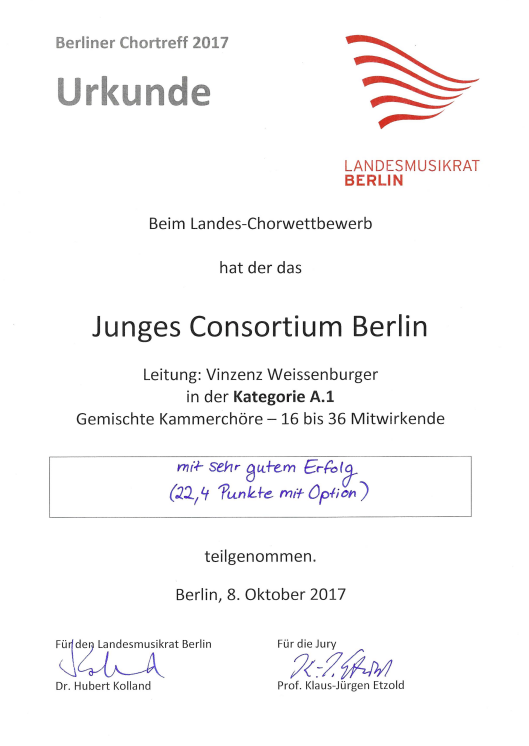 In July 2018 the Junges Consortium Berlin took part in the Sing Berlin! International Choir Festival & Competition. 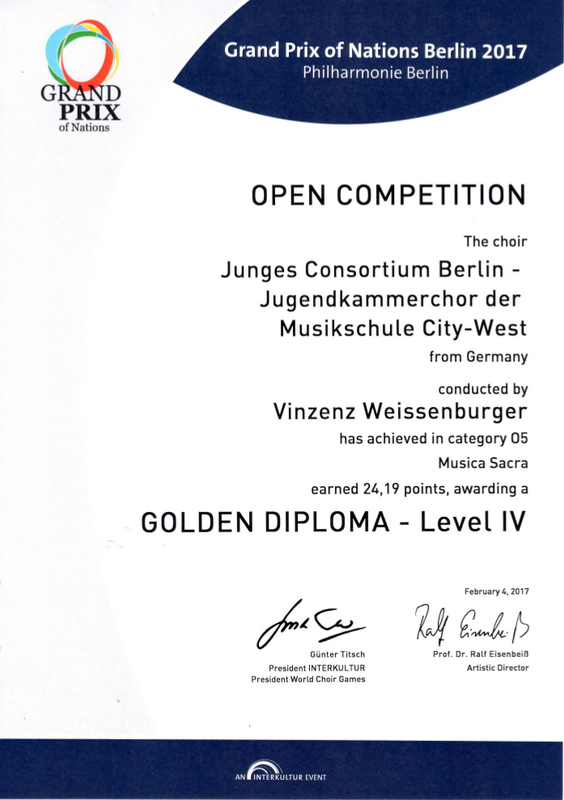 In the categories Musica Sacra and Mixed Choirs the choir was awarded two gold diplomas and prevailed against international competition. 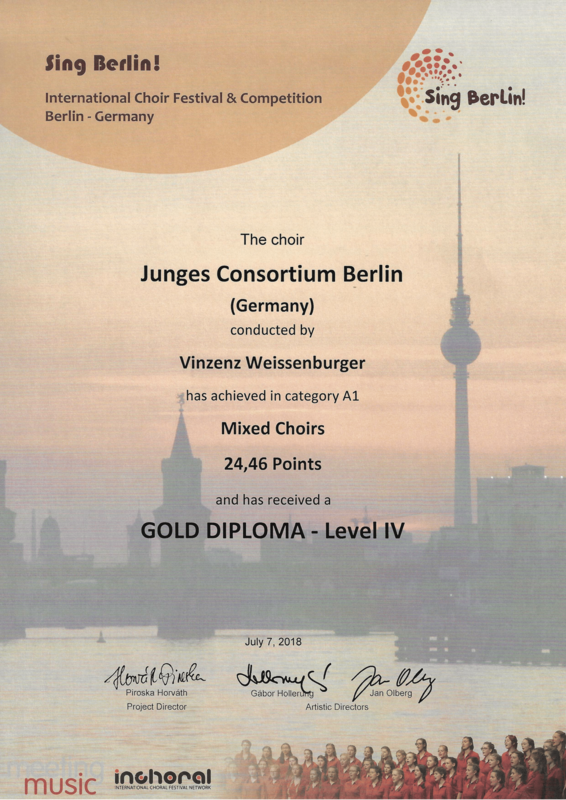 At the “Berliner Chortreff 2017”, the Junges Consortium Berlin achieved a rating of 22.4 points in the A1 category: mixed chamber choirs, 16-36 participants with the rating “very good” and the option of being forwarded to the “Deutscher Chorwettbewerb 2018” national choir competition. 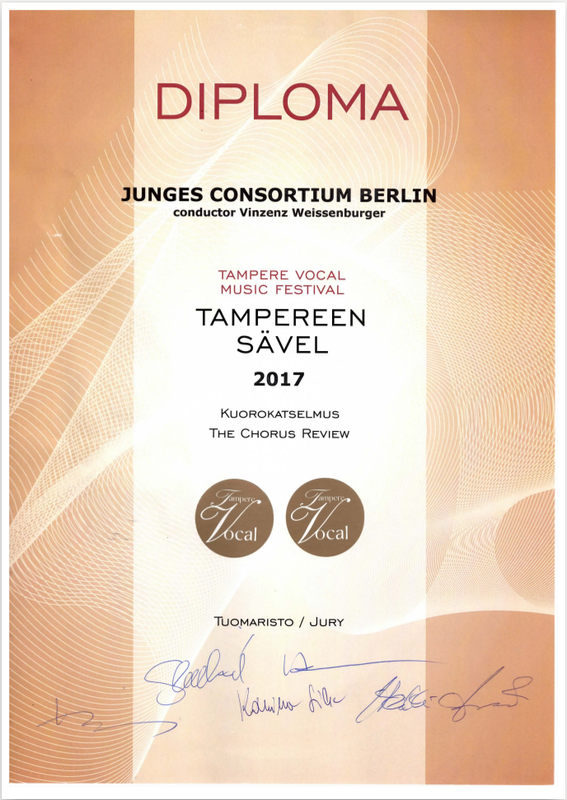 In June 2017, the Junge Consortium Berlin took part in the Tampere Vocal Music Festival “Tampereen Sävel” in Tampere, Finland. 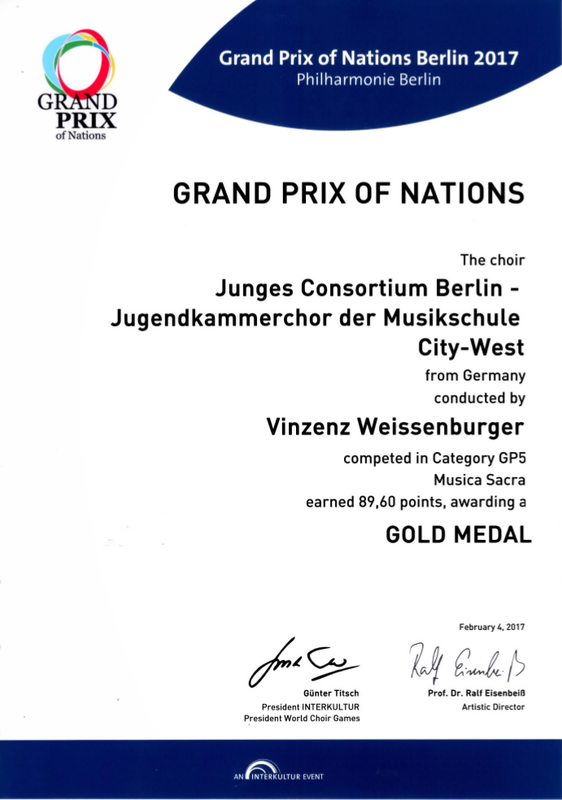 The choir won two gold medals and reached the highest place out of more than 50 international choirs and was depicted on the festival’s programme booklet. 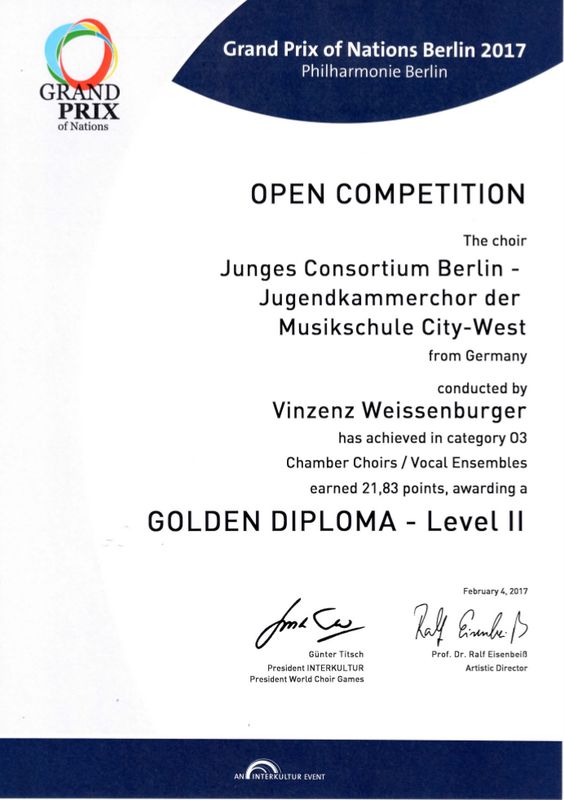 In the Grand Prix of Nations Berlin 2017, the Junges Consortium Berlin was awarded two Gold Diplomas in the Open Competition and one Gold Medal in the Grand Prix. For asking general questions and applications for the choir please write to the e-mail-address below. 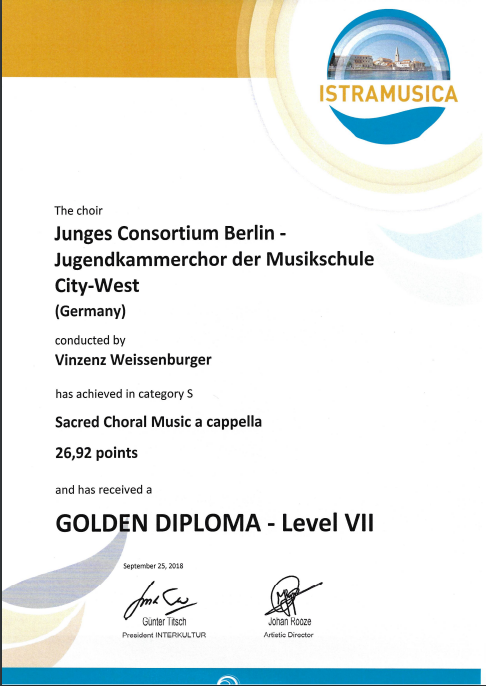 We regularly publish a newsletter with the newest procedings in the choir. The latest information about upcoming concerts, trips and initiatives of the Junges Consortium Berlin.